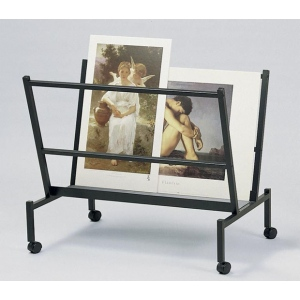 Shelf bed is designed to hold up to 100 unframed prints or posters. * Welded heavy gauge 1" square steel tubing with powder electrostatic scratch-resistant black finish. 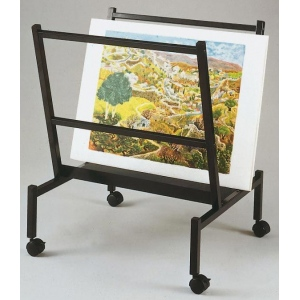 * Includes four casters (two are locking). * Shipped UPS. Assembly required. The capacity is 100 prints.